Outsourcing your non-core functions does not mean giving up control. Our expert team have successfully outsourced and moved thousands of tasks, roles, functions and processes offshore. We have worked with some of the largest brands in the world and have helped businesses to save millions of dollars through improvements in efficiency and quality. We have blended our years of enterprise delivery experience and core capabilities with the latest technologies to develop a range of simple, plug and play solutions for the small and mid-size business market. 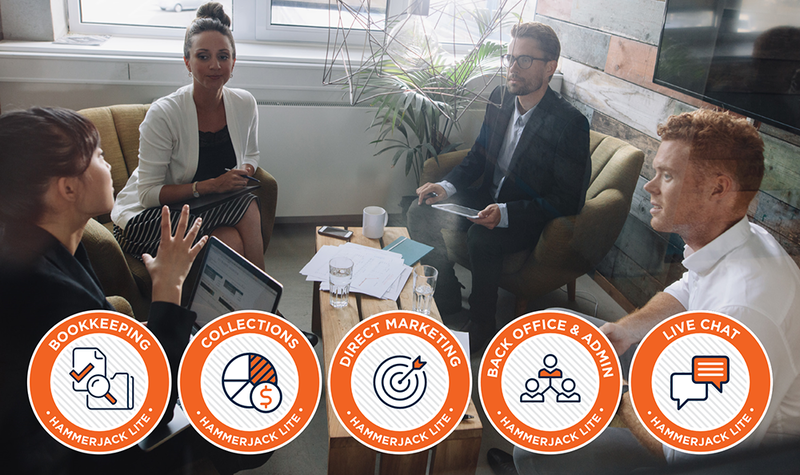 hammerjack’s outsource staff LITE SOLUTIONS take the best of our capability and deliver results through an outcome based service model. Stop wearing all the hats and let WHY you went in to business become your core focus. Our LITE SOLUTIONS are enabling Small and Midsize businesses to Try Outsourcing, without the risk or the commitment of hiring people. Our solutions plug in to your business and solve the problem you have today. Outcomes are defined and built around the specific needs of your business. We have invested in building teams of skilled and experience resources, so you don’t need to. hammerjack outsource staff LITE SOLUTIONS are priced around agreed outcomes and workloads. Ask us for a quote. 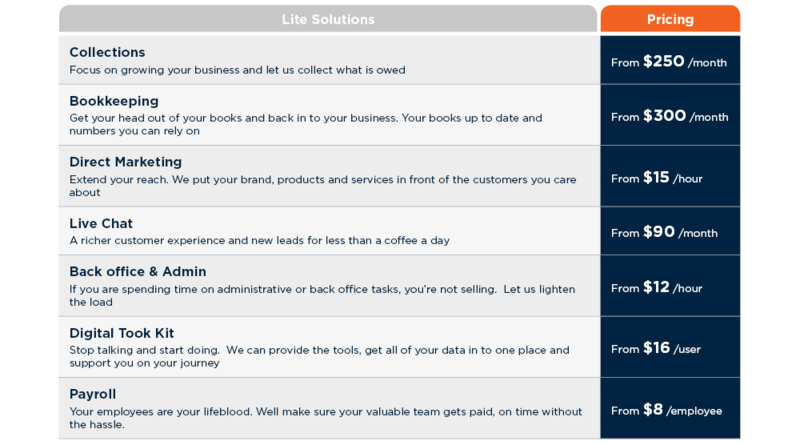 Outsourcing with hammerjack outsource staff LITE SOLUTIONS is easy. A very successful business man (Richard Branson) once said "Everything in your business can be outsourced, if you're not emotionally attached to doing it all", we couldn't agree more. If you want to Try Outsourcing for your business, get in touch today and remove the headache tomorrow.